After delivering my first two daughters, I wished I had documentation of their birth stories. On a very personal level, their births were some of the greatest days of my life and each a story of struggle, love, and triumph. I felt treasured and cared for in the arms of my husband as we worked together to bring our baby daughters in the world, and I wanted to see it. 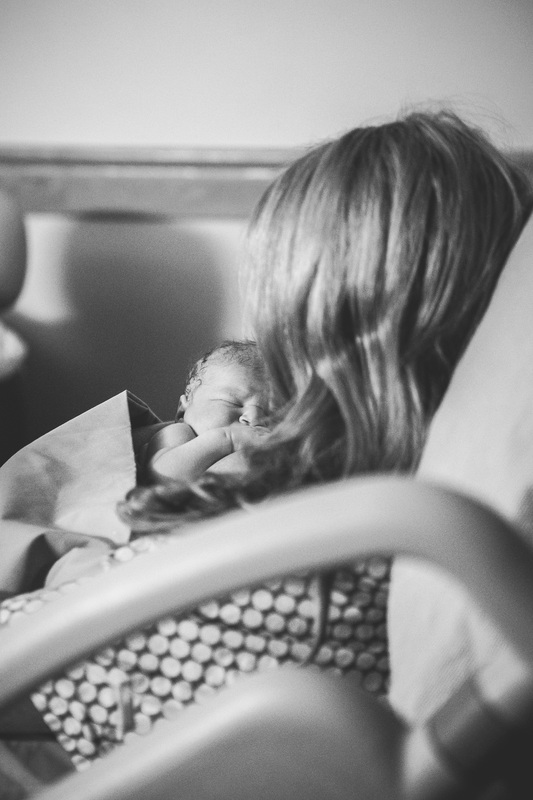 Birth photography offers you the gift of seeing the story unfold – the tender moments of laboring with your partner, priceless expressions caught at delivery, first interactions as a new family. The birth of your baby, no matter how they enter the world, is one of the most unforgettable experiences a person can have. Home births, hospital births, medicated or not, Cesarean or VBAC – birth is a miracle worth documenting. I document births because I love it. Since the birth of my first daughter, I’ve gained a passion for birth and am honored to participate as part of the birthing team. I am trained in the Bradley method of childbirth and completed all of the required reading for doula certification. The birthing room is a natural place for me. I will ensure your experience of having a birth photographer is encouraging and helpful as you and your birth team work hard to deliver your baby.